ESPN is offering some insight as to why it selected Caitlyn Jenner for one of the most coveted awards in sports. The first trailer of Caitlyn Jenner's reality series "I Am Cait" has been revealed. A swarm of controversy began brewing when the network announced Jenner, who came out as a transgender woman, would receive the Arthur Ashe Courage Award at this year's ESPYS. Critics called the decision an exploitation play to boost ratings. 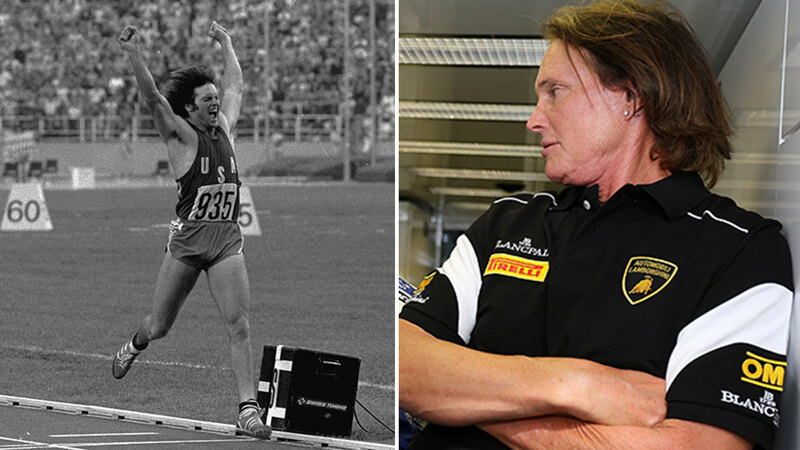 Bruce Jenner is discussing the gender identity struggle Jenner faces in an exclusive Diane Sawyer '20/20' special. "For all intents and purposes, I am a woman." Producers countered by saying the Arthur Ashe Award is given to someone in the sports community who has done something that transcends sports, and that's what they believe Jenner has done. ABC7 News Sports Producer and Anchor Colin Resch will be at the ESPYS on Wednesday. Follow him on Twitter for live updates. We'll have live reports from Los Angeles starting at 4 p.m. The ceremony starts at 8 p.m. and is followed by ABC7 News at 11 p.m.
Click here for full coverage on the ESPY Awards. Click here for details on the ESPYS, and click here for full coverage on Jenner.